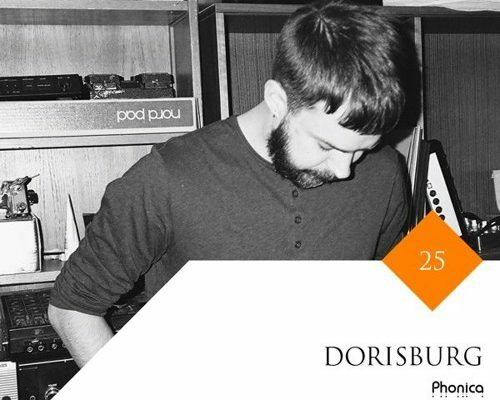 This month we’re joined by a key figure within the dance music scene. Marc Schneider is one of the founding members of wordandsound which is one of Europe’s most successful distribution companies and responsible for supplying a lot of the records we’ve sold over the years at Phonica Records. Before setting up Wordandsound, Marc also worked for Container Distribution which were the first company to import and distribute US House & Techno in Germany in the mid ’90s. It’s safe to say that Marc Schneider knows his records which is what makes him such a great DJ and local legend within the Berlin & Hamburg scenes. Over the years Marc has been referred to as a DJ’s DJ and a major influencer among some of the biggest names in the game. 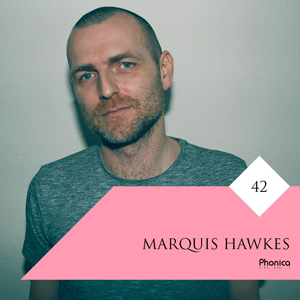 For the April addition of the Phonica Mix Series, he’s prepared a quality mix of House & Techno which mixes up classic tracks and contemporary music. We also got the chance to ask him a few questions about the local scene in Hamburg, The future of Vinyl, his own ‘Story Records’ Imprint and finally what new music is keeping him inspired these days. Enjoy! Hey Marc, How are you doing and what have you been up to lately? Tell us about the mix you prepared for us today? It was recorded in my living room with 2 Technics turntables and an Allen & Heath Xone:23 mixer. There’s no concept necessarily but I do try and create a new connection of tracks ( classics and contemporary) that sound new and fresh to me in a mix. As one of the founding members of Wordandsound Distribution you’ve witnessed the record industry change a lot over the years. What do you think of the ‘Vinyl Resurgence’ that has been getting so much media coverage today? It’s an interesting time. When WAS began, vinyl was the main medium used by Dj’s so every week you would buy a new stack of records to play. There was a real balance of supply and demand. Then we saw a diversifying effect on the market through the rise of MP3 and DJ software. Now there exists a kind of fetishism around vinyl….collecting it, digging for it . and for younger people coming up its a way to connect with the roots of dj’ing. And as always, artists want to have a vinyl release. Basically whats happening now is a flood surplus of vinyl in a market where the demand just can’t match it. I’m very happy for this resurgence and that record stores are popping up again but there’s a lotta records being manufactured with not enough homes for them. That’s the reality now but I obviously prefer this to what was happening 10 years ago. Although you’ve been DJing for over 25 years and played at some of the best parties and clubs around, most of your bookings are within Hamburg. Can you tell us about the scene there today and how it’s changed over the years? Hamburg is suffering over the Pudel complications: the roof fire and of course the legal issues. We’re all hoping for the issues to be resolved. I’m actually playing at a Pudel Berlin takeover at About:blank on 4/9 to keep that Pudel love burnin’. I also have a residency at PAL which has become a big asset to the Hamburg dance scene. The bookings are consistently good and reflect the current dance music world. Generally the club and partyscene was very quiet for a while until a couple of years back a new generation of young kids starting to dj. They organise events and parties with a huge following of people that are very interested in the scene a. It’s refreshing to see the right spirit that motivating them… they love the music. Hamburg also has a steady stream of quality producers like Koze, Session Victim, Small People, Isolee the young Lehult Crew to name a few. I do play in Hamburg most often but play regular gigs in Berlin and other European cities. I also have a US tour coming up in May which I’m really looking forward to. 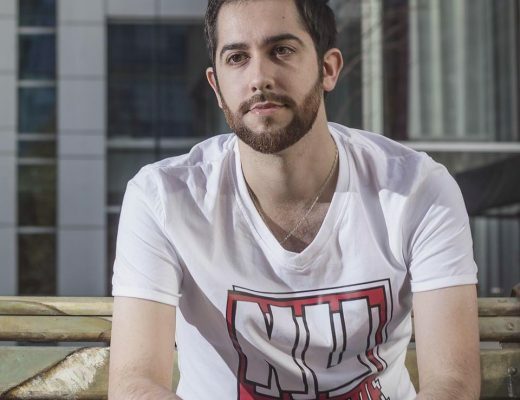 You’ve often been described as a DJ’s DJ and a major influencer behind the scene. What new music is really inspiring you at the moment? As a big fan and collector of music from Chicago and Detroit, I’m always following music from there, i like to see some new artists and also established ones releasing records, artists like FIT Siegel, James T Cotton, Marcellus Pittman, Steven Tang, Mike Huckaby. Happy to see that also big idols of mine like B12 are having a comeback with some new releases right now as well. Further artists that I’m diggin’ are always the Cab Drivers and Cabinet Records, Borrowed Identity, The Magrehban with his house/techno/breakbeat hybrids and Jeremiah r, who does some stunning electro stuff. Also Seven Davis Jr really does it for me with his jackin’ prince’sque house trax. …And which older releases do you still find yourself reaching for when packing your record bag? What in particular has stood the test of time for you? Oh there are so many. I basically play half older tracks and half new released material. Older records that i always have with me are from producers like matthew herbert, daniel bell, robert hood, maurizio/basic channel, derrick carter…and many more. Besides your work at wordandsound you also run the Story Records imprint. Can you tell us a bit more about the label and what can we expect from it in the future? What advice would you give to young artists who want to start their own record label? This is a hard question because it’s such personal commitment to the driving force behind what the label is. There isn’t a formula. My one piece of advice would be to make sure the music is ready for release, and ask yourself what you’re really bringing to table… is it more the same or are shaking things up?